With Leader Training starting at the end of the week (where does the time go?! ), we are delighted to introduce our penultimate slate of summer staff. Will Robertson and Becca Stamp will be nothing short of a dynamic duo as they explore the cross the Cascades and keep a weather eye out for orcas on our Northwest Explorer trips! 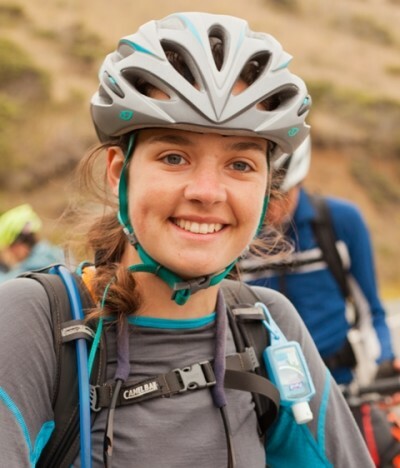 And leading Apogee’s most challenging, yet incredibly rewarding, cycling trip is Chris Opie and Mia Taggart. These returning all-stars are already deep into their on-the-road training – and they’ve got the tan lines to prove it! They are psyched to be leading the “bike trips of all bike trips” – America Coast to Coast! After a great summer with Apogee in the Caribbean in 2014, we are pleased as punch to have Will Robertson back to lead our Northwest Explorer trip this summer! Will grew up in Saint Paul, Minnesota, with his parents and older sister. The outdoors have always been a major part of Will’s life – he began Nordic skiing at a young age, and spent many summer weekends camping and canoeing near his family’s rustic cabin on the upper reaches of the Mississippi River. A 2014 graduate of Hamilton College in upstate New York, Will brought his love for the outdoors to campus where he served as an Assistant Director for the Hamilton’s Outdoor Leadership Program. A man of many interests, Will has always also been very involved in the performing arts. Will was a Music major with a concentration in music composition, and he used his gifts to give back to the community. During the summer of 2013 he worked full time as a Music Teacher and Youth Mentor at a non‐profit in Boston, giving lessons to students that would otherwise lack the finances to participate. 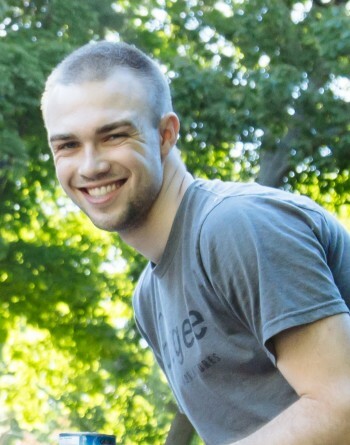 Since his summer with Apogee, Will has returned to Minnesota where he is working as a freelance composer, coaching a high school Nordic ski team and a middle school track team, and singing in a professional choir. With his incredible outdoor skills, his passion for working with youth, and his zeal for life, Will and his students are bound to have an amazing summer in the great northwest! The sixth of eight siblings, our own Becca Stamp hails from Rhode Island, where her family runs a small farm. Becca spent years working with her family on the farm where she learned the value of hard work and honed her phenomenal interpersonal skills. While she is as good as it gets with a gourd, Becca has excelled academically and athletically, as well. Becca served as Captain of her high school’s Cross Country team and took a real interest in outdoor education when she started college. A rising Junior and Communications major at Cornell University, Becca has made the cultivation of her outdoor leadership skills a true focal point of her education. She serves as a leader for Cornell’s wilderness‐based pre‐orientation program and, additionally, as a facilitator at Cornell’s outdoor‐ oriented Team and Leadership Center. 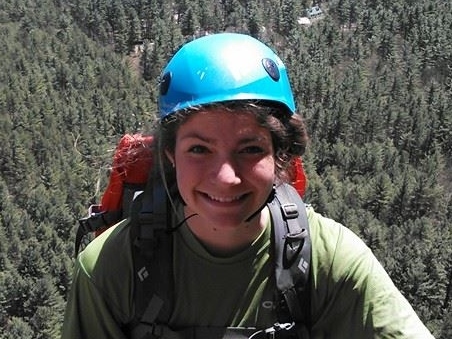 Becca is personable, encouraging, and well‐versed in the outdoors – and we know that her Northwest Explorer students are going to love getting to know her! We could not be more excited to have Chris Opie return to Apogee for his third summer to lead our America Coast to Coast trip. Last summer, Chris (commonly referred to as “Opie”) led our Montana Service Adventure after spending the summer of 2013 working as one of our New England support staffers. 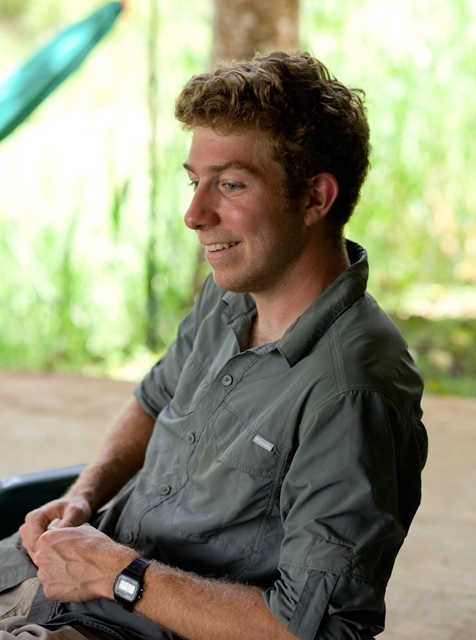 Chris graduated this spring from Bates College with a degree in English and a minor in Education. A native of Arlington, MA, Chris has a love for reading, writing, spending time with family, and shamelessly cheesy puns. Chris also has a passion for cycling, and is an Apogee legend when it comes to fixing bicycle mechanical issues on the road. When he arrived at Bates he wanted to share his passion for cycling with other Bates students ‐ including incoming freshmen. While Bates ran many different outdoor orientation trips, they did not offer a cycling trip until Chris created one. Chris is smart, fun, and is going to inspire his students to develop a real passion for the outdoors and cycling as they ride coast to coast together! Back for her fourth year as an Apogee leader, Mia Taggart is pumped to be leading our America Coast to Coast trip! Mia got to know Apogee as a teenager when she participated in our Pacific Coast and Coast to Quebec trips in 2007 and 2008. It’s been a dream of hers ever since to bike across the country. Mia graduated from Bates College this past December with a degree in Sociology and Education. Since then, she’s been working for an educational non‐profit in Washington, D.C., teaching civics to students from all over the country and using the sites of our nation’s capital as the classroom. Mia is extremely passionate about working with youth; in college she tutored immigrant students in the local schools helping them to learn English. And on a gap year program in 2011‐2012, she taught art classes at Safe Passage, an organization dedicated to improving the lives of the at‐risk children whose families live off of the Guatemala City dump. A woman of wide, deep interests, Mia loves to sing, cook, sculpt, ski, bike, and hike. Mia is the ultimate Apogee woman, and we couldn’t be happier to have her back this summer to lead ACC!